"Mr. Morris Lessmore loved words. He loved stories. He loved books. His life was a book of his own writing, one orderly page after another. He would open it every morning and write of his joys and sorrows, of all that he knew and everything that he hoped for. ...till everything Morris knew was scattered--even the words of his book." 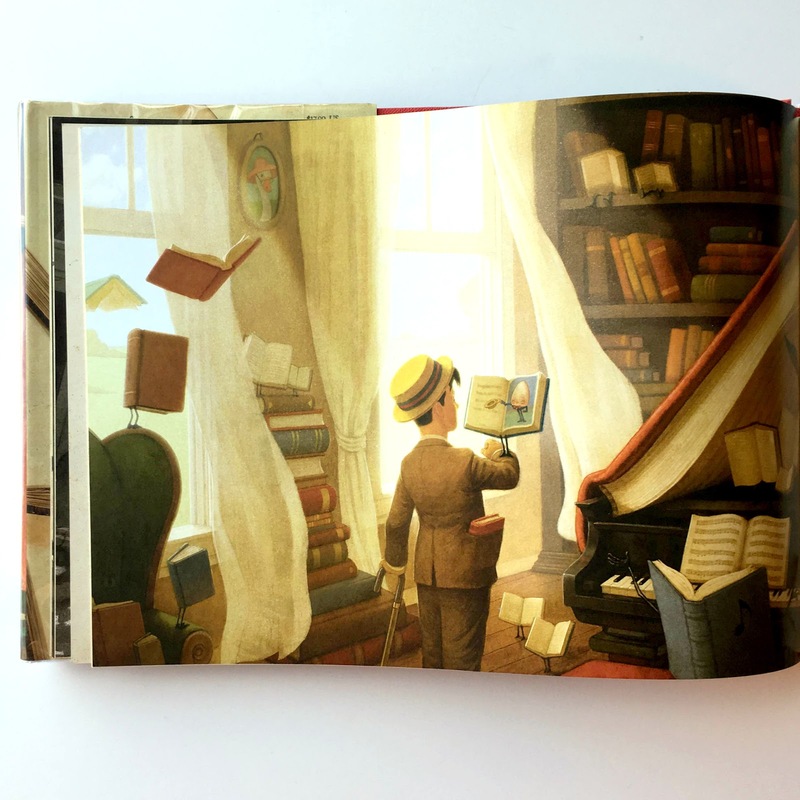 I fell for The Fantastic Flying Books of Mr. Morris Lessmore within seconds. A few years ago Ted Kooser recommended this picture book to me, and I'm sorry to admit I haven't read it until now. Mr. Morris Lessmore loves books and reading, but in so doing he's isolated himself from the world. 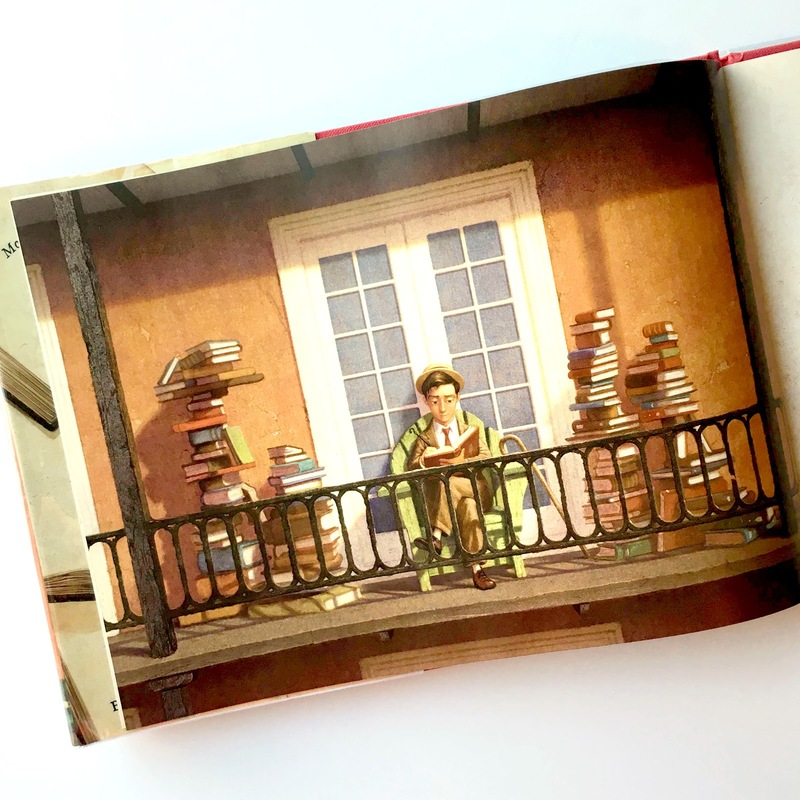 During a storm, his personal library is blown away in the wind leaving him feeling unsettled and lost. On his journey he encounters a book of nursery rhymes that leads him to a large library full of stories he's never read before. The illustration of the library as shown above is absolutely lovely. It would be beautiful framed and displayed in a home library, children's room, or office space. 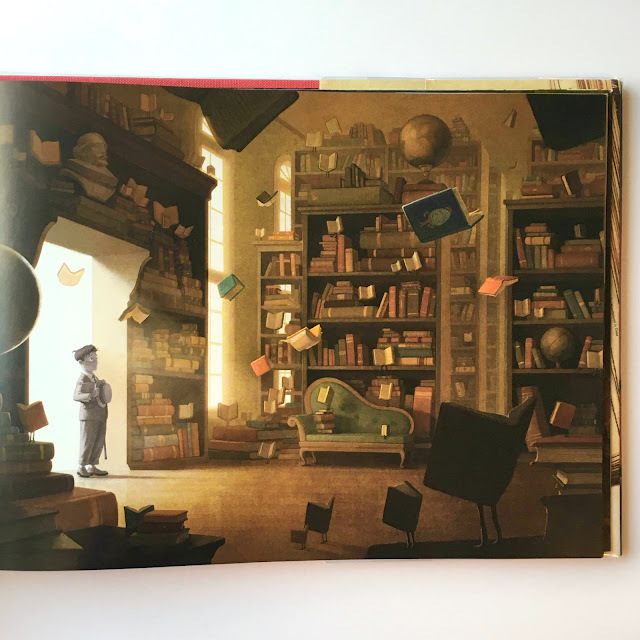 Mr. Lessmore's time in library not only introduces him to worlds of new stories, but also invites him to share his stories with others who visit the library. The power the books have on him and those around him changes lives and the story ends in sweet, emotional tones. If you're a reader, I can not imagine how you wouldn't love this story. It's heartfelt and inspirational message about the power of words and community are very memorable and you could spend hours gazing at the colorful, full-page spreads. 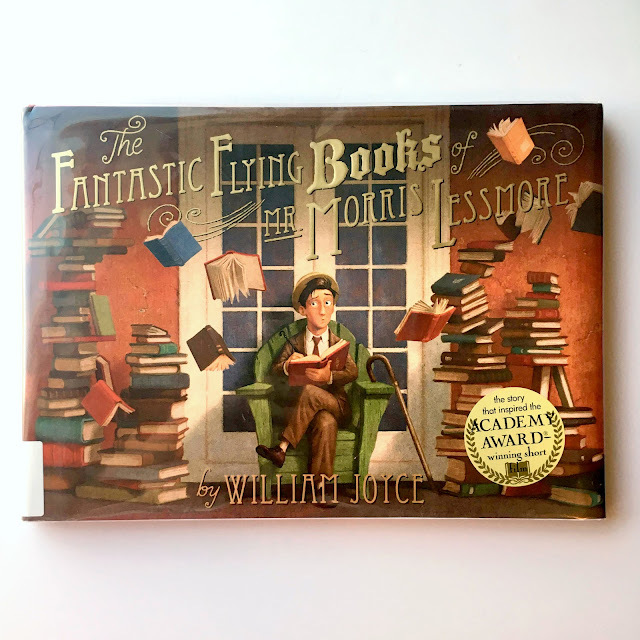 Have you read The Fantastic Flying Books of Mr. Morris Lessmore or any of William Joyce's other picture book titles?